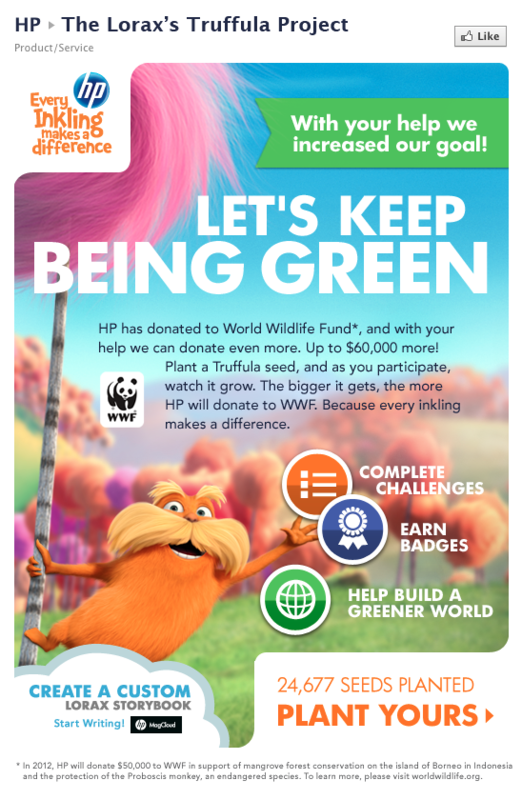 HP, World Wildlife Fund (WWF), and Universal Pictures asked us to educate users about green living, while promoting the film The Lorax. 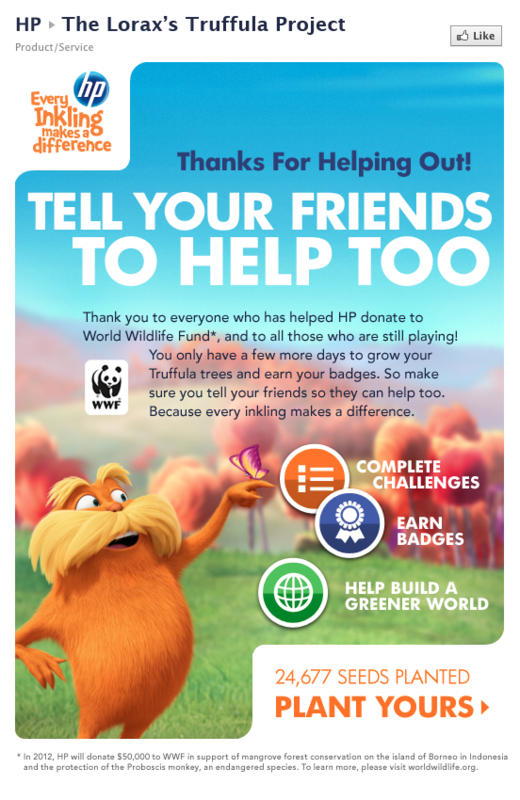 They also wanted to elevate HP's commitment to the environment and make it easy for users to donate to WWF. 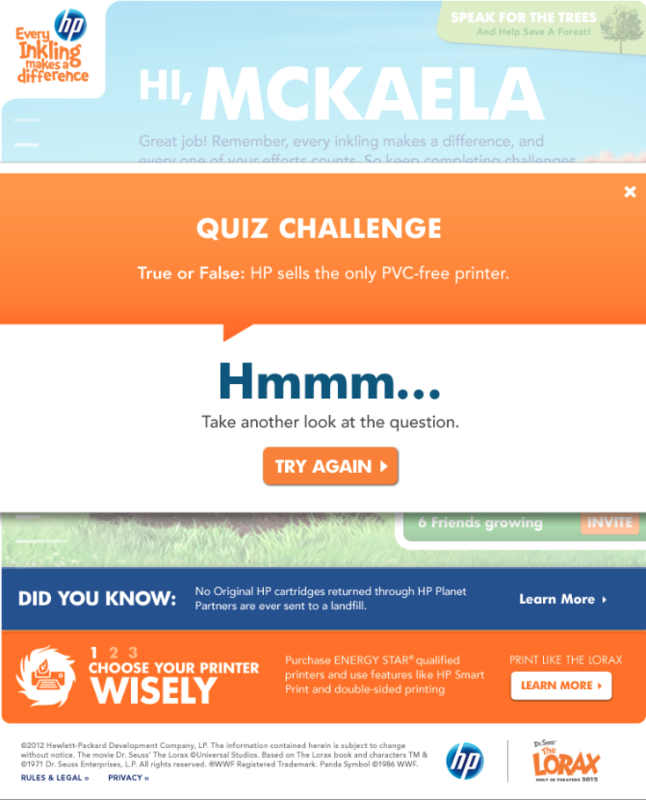 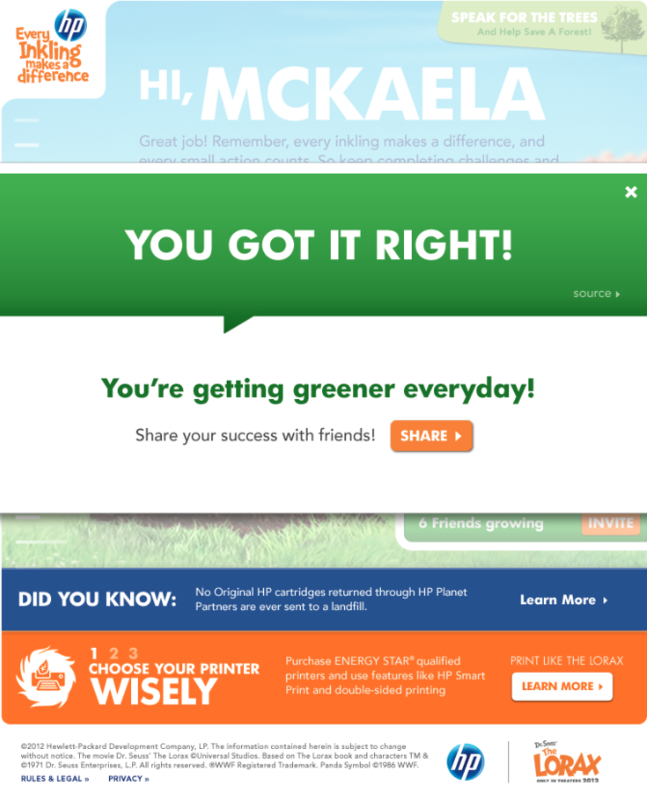 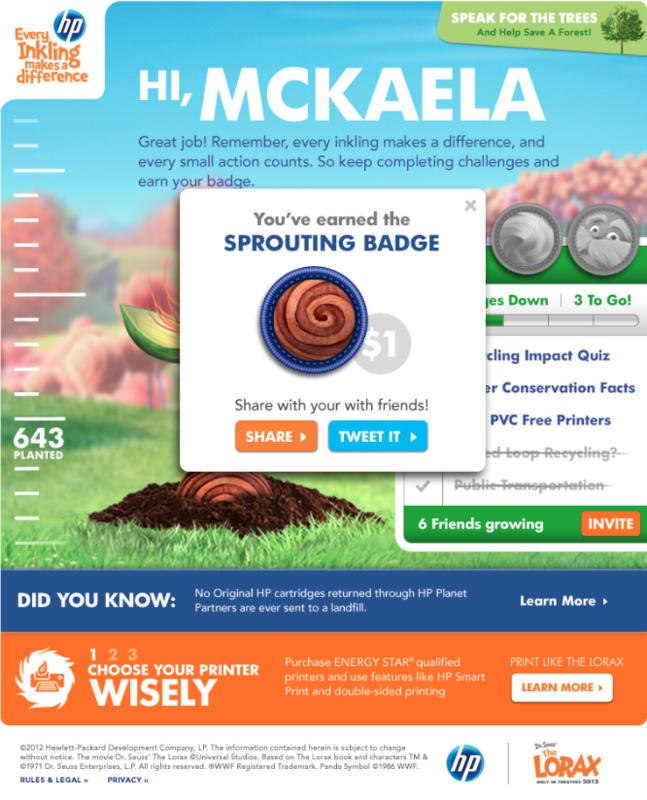 We launched a Facebook hosted game where visitors answered a series of questions that informed and educated them on green practices, the environmentally responsible practices of HP, and different ways that WWF helps animals and their habitats around the world. 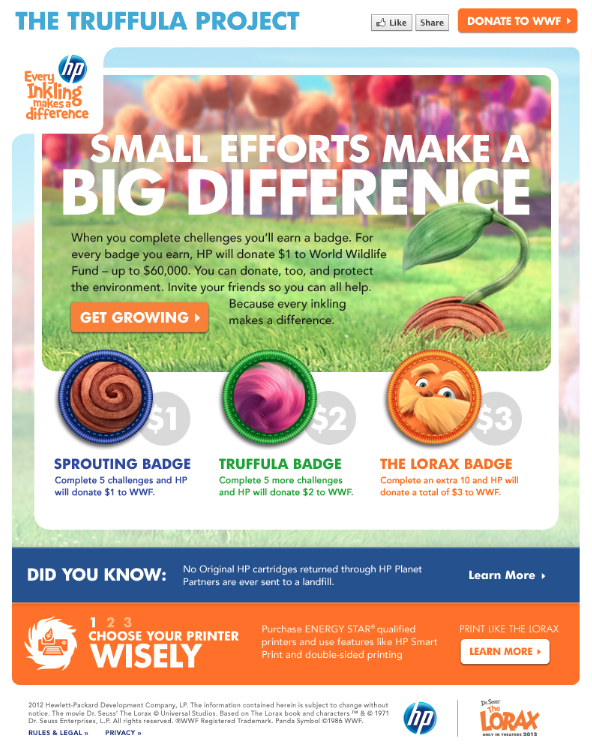 HP donated $60,000 which was raised through user participation (HP donated $1 for every badge earned). 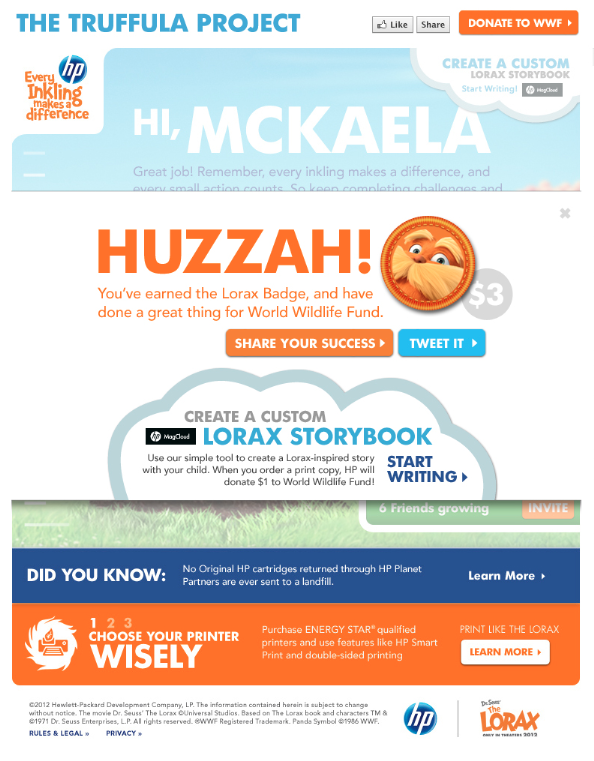 But users were also motivated by the game and it's message, donating an additional $12,000+ to World Wildlife Fund.